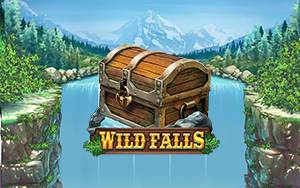 New game with introduction Free Spins Friday 25th January Will falls: Wild Falls. Play your free spins and try your luck. NOTE. The free spins are available from 10:00 AM to 23:59 PM To get the free spins your account must have had a deposit of € 20,- or more in the past or you can do it now. BigBangCasino is a product of Reload NV. This Service operates under the License No. 8048/JAZ issued to Antillephone, Authorized and Regulated by the Government of Curacao.